Usually, when the words ‘Flint’ and ‘lead poisoning’ are used in the same sentence you get a mental image of homicides by gunshot. Likewise, in Michigan, ‘amateur’ and ‘chemistry’ conjures up images of an illegal meth lab fire. Now, however, we have allegations that the City of Flint’s amateur drinking water chemistry is causing high lead levels in children. This story has exploded over the last week and, as usual, the ignorati in the main stream media and Michigan politics are clueless. Flint’s emergency financial manager switched the city’s drinking water source to the Flint River in April 2014, an attempt to save the ruined city $ 30 million a year – the vigorish being extracted by the pirates at the Detroit Water & Sewerage Department. The same extortion which motivated the Detroit suburbs to create the Great Lakes Water Authority. Using river water was an intermediate step, with the ultimate goal of Flint joining the new Karegnondi Water Authority and resuming Lake Huron sourcing after the new KWA pipeline is completed in 2016. Unfortunately, Emergency Financial Manager Ed Kurtz did not realize that river water would require much different preparation than the Lake Huron water they had been supplied by DW&SD. He rose in life as the leader of a business school, not as a chemist. It doesn’t appear that Flint Water Treatment Plant’s staff water chemists had a clue, either. Comments made by Governor Snyder at the presser for his Supreme Court nominee Joan Larsen suggest he was neck deep in this decision and also completely oblivious to the technical issues. Flint residents protested immediately, complaining of poor taste, foul odors, and turbidity (lack of clarity). Much of this unrest was part of a long term drive to oust the emergency financial manager running Flint, the paramount goal of the city’s social justice warriors. It didn’t help that Ed Kurtz raised water rates about 50%, emulating DW&SD’s obscene fees on top of maximum taxes piracy. Public outrage has increased in Flint ever since. Genesee Circuit Court Judge Archie Hayman enjoined Flint’s water rate hike, throwing Flint’s finances back into disorder. Since Judge Haymen’s order was left in place by the Appeals Court and went into effect, Flint water collections have dropped by $ 1.75 million a month. In all fairness to EFM Kurtz, part of his rate increase was intended to replenish $ 15.7 million which had been transferred from the Flint water fund in 2007 to pay a sewerage overflow settlement. However this entire situation was almost certainly an attempt to quickly balance Flint’s books and wrap up emergency financial management. Lansing was certainly sweating EFM Kurtz to conclude Flint’s restoration in order to shut down the social justice warriors before our 2014 election. There is little or no lead in Flint’s drinking water when it leaves their Water Treatment Plant. Lead levels are at or below the limits of analytical detection, sub parts per billion. Flint, like most older American cities, has a lot of residences hooked up to their water distribution system with soft lead pipes. Flint water is being contaminated by lead from these retail service pipes at the end their distribution system. Most cities with lead service pipes do not experience notable lead contamination through lead service pipes because decades of scale buildup inside the pipes separates the lead from the water. They maintain these pipe scale linings through corrosion control programs mandated by the EPA LCR rule since 1998. Flint’s lead service pipes have lost their protective scale lining due to poor chemical control of the water running through the pipes. Lead is a pretty corrosion resistant metal and the calcium scales inside lead pipes are actually quite difficult to remove. Ask anyone who has had to clean lime scale out of a shower stall. It takes a lot of scrubbing. This is why lead is not an issue in most cities which have lead pipes at the end of their water distribution systems. None of this is new science, it goes back to Vitruvius in ancient Rome. American cities have implemented corrosion control schemes in their water distribution network to prevent metals in piping and joints from leaching into the water. Flint has not, and it appears that they relied on Detroit Water & Sewerage Department to provide water incorporating corrosion control. DW&SD’s corrosion control relies on consistent incoming water and some usage of orthophosphate forming chemicals. Flint residents and the media have focused on the incoming water quality difference – the use of river water – but pH control and chemical additions are actually far more important in minimizing lead pipe leaching. The Flint Water Treatment Plant’s river-sourced water was certainly responsible for the initial taste, odor, and clarity complaints, but it has little to do with lead pipe leaching. There are a fair number of inland American cities with lead pipes which successfully rely on river water for their drinking water infeed. The most important factor controlling lead pipe leaching is pH, the acidity or basicity of the water. Lead is quite corrosion resistant and was widely used to store strong acids before exotic corrosion resistant alloys were developed in the 1920’s. Lead develops a thin protective surface film in contact with acids and doesn’t corrode any further. Lead also has a zero corrosion rate in pure water, but lead does have a tendency to corrode in alkaline (basic) water solutions. This appears to be happening in Flint. 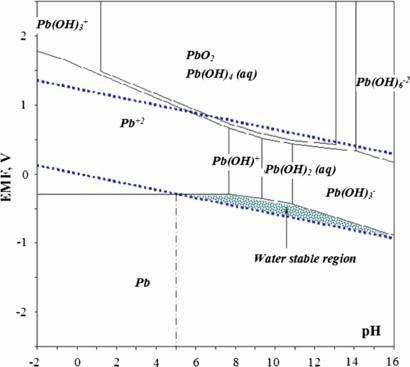 At this point, you need to know a little about the pH values of aqueous solutions. A pH value of 7.0 is neutral, a solution which is neither acid nor alkaline (basic). PH values below 7.0 indicate an acid solution and pH values above 7.0 indicate a basic (alkaline) solution. Potable water in drinking water systems is usually adjusted to be a little alkaline (basic), with its pH ranging from 7.0 to 8.0. This reduces corrosion of iron and steel pipes in the presence of chlorine, while providing good taste. Acids taste sour (think vinegar) and bases taste bitter (I know, your mother never washed your mouth out with soap). The latest (June 2015) report available from the Flint Water Treatment Plant indicate that Flint’s river-sourced water pH is averaging 7.61, with a high and low of 7.76 and 7.40 at the tap. They also reported a ‘raw’ value of pH at 7.88 minimum / 7.97 average / 8.32 maximum. Hopefully by ‘raw’ they mean incoming water pH, rather than finished water delivered by the treatment plant. Going back to March 2015, however, the Flint Water Treatment Plant reported their ‘tap’ water pH values as 7.30 minimum / 7.89 average / 9.90 maximum. By comparison, DW&SD reports that their system wide water pH values in 2014 were 6.87 minimum / 7.38 average / 7.96 maximum. The 0.23 pH difference between the June 2015 Flint WTP average and the DW&SD 2014 average doesn’t sound like much, but I neglected to mention that pH is a logarithmic scale – so it is a big difference. The 0.51 pH difference between the March 2015 Flint WTP average and the DW&SD 2014 average is even more significant, particularly if the 9.90 maximum pH occurred for an extended period of time. Over time, the more alkaline (basic) Flint WTP water is far more corrosive to lead than the less alkaline DW&SD water. This corrosive effect compromises the protective scale inside lead pipes and allows lead to leach into the flowing water. Stephen Busch , a supervisor in the MDEQ Drinking Water and Municipal Assistance Office, lied to EPA in an email, claiming the existence of a corrosion control scheme at the Flint WTP. The EPA itself does not have a good reputation on water issues. Consider the EPA’s latest water quality catastrophe: turning the San Juan River in Colorado yellow with waste metal compounds. The EPA and CDC also have a dubious record on drinking water lead issues. Just ask the residents of Washington, DC. Critics with the power of the Federal government behind them, but not really operational talent. So government experts have not been much help to Flint water customers. Those who can, do. Those who can’t, criticize. Flint drinking water will not benefit from any more chemicals, at least in the short term. Nor will changing back to DW&SD water end the lead leaching. Sorry, social justice warriors. The protective scales inside Flint service lead pipes are now gone and it will take at least a year to restore those films, even with orthophosphate producing chemical additions. according to a good English study of just this issue. It might take even longer in Flint, where water temperatures are colder than in the north of England. Flint’s only available option to end corrosion of their lead service pipes, at this point, is to impose close controls on finished water pH. Maybe even drive pH just below 7.0 until the protective scales inside their lead service pipes regenerate. They will have to do this regardless of the water source, because the DW&SD water pH is also too high now that the Flint lead service pipes’ protective scales are gone. Flint will have to add orthophosphate forming chemicals as well [phosphoric acid and surfactants], but these will require year(s) to work. This process cannot be accelerated by adding more chemicals because too much phosphorous will stimulate algae and cyanobacteria growth (think Toledo’s problems with Lake Erie water in 2014) in the drinking water. The only good news here is that this is a good project for statistical process control. Back when GM actually manufactured stuff in Flint, they trained quite a few people in SPC. Someone there should remember this handy, effective technique to keep a running process within tight specifications. Control charts, also known as ‘X bar and r charts’ in automotive parlance. Corrosion of iron and steel in Flint drinking water has also been raised as an issue by Virginia Tech analyses. A separate issue from lead leaching, but somewhat related because it also reflects the loss of protective scales lining iron and steel pipes. This corrosion appears be the result of Flint’s heavy and irregular usage of ferric chloride to make river water acceptable for human consumption. Iron and steel corrosion has probably caused the majority of the clarity complaints from Flint water customers, who are receiving reddish colored water, because the Flint turbidity analyses at their water plant meet national standards. The reddish water contains iron corrosion products which create its peculiar color. Worst of all, this confirms that the Flint water system’s iron and steel distribution pipes have lost their protective internal scales, just like their lead pipes. Ferric chloride (FeCl3) is used as a coagulant to strip suspended, small solids from water, a major issue in producing potable water from fast flowing river water. Ferric chloride in water just above pH 7.0 reacts with available hydroxide ions (OH-) to form a floc of iron hydroxide (FeO(OH)−) that facilitates removal of suspended solids in filtration beds. This reaction also releases chlorine into the water. Then Flint adds a further 6 ppm of sodium hypochlorite to suppress microrganisms. Virginia Tech analyses show high rates of steel corrosion in Flint water, but rely on sporadic sampling so we don’t know what is occurring between the samplings. The Flint Water Treatment Plant’s usage of ferric chloride is quite uneven and it is quite possible that far too much chlorine is present in their finished water when their FeCl3 usage spikes. The Flint WTP used 2.5 times as much FeCl3 in February 2015 per unit of finished water as they used in June 2015. This produced 33% higher total chlorine residuals in Flint’s February 2015 water, when compared to their June 2015 finished water. Why? The total chlorine residuals Flint reported from March through June 2015 are about twice the level that DW&SD reported in 2014 and chlorine, especially free chlorine, is extremely corrosive to copper, iron, and steel. So is the fluoride added to water to prevent dental caries, but fluoride levels here are much lower and masked by the effects of chlorine. Here we have another good project for statistical process control. Corrosion inhibition is certainly necessary, but its effectiveness will be irregular until Flint gets chlorine levels under control. 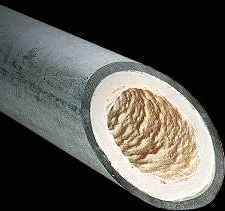 Flint will indeed have to add orthophosphate forming chemicals to control iron and steel pipe corrosion, but it will require considerable time to restore protection inside the distribution piping. While adding orthophosphate forming chemicals will control iron and steel corrosion, they will not protect copper pipes within residences. Hence chlorine will still have to be carefully controlled as an integral part of Flint’s corrosion control program. More good projects for statistical process control. The common thread in Flint’s current water problems is poor process control at their Water Treatment Plant. The failure to properly control the pH and chemistry of Flint’s finished water has damaged their distribution system to the point where just a sourcing change to Detroit water will not correct the problems, particularly the lead leaching. It may be easier to control the chemistry of Detroit water within the limits Flint needs, but the substantial additional expense of Detroit water will deny Flint the funds to execute the needed additional, tighter process controls. The Flint Water Treatment Plant will need to dramatically intensify control of its finished water pH for at least a year to minimize lead leaching while a corrosion control program restores the scale linings of their lead service piping. The Flint Water Treatment Plant will need to strictly limit finished water chlorine residuals to minimize copper, iron, and steel corrosion in their distribution piping. Again, it will take time to reestablish protective linings within Flint’s iron and steel distribution piping. And without controlling chlorine residuals, the amounts of orthophosphate forming chemicals needed to prevent corrosion may be so high as as to stimulate algae and cyanobacteria growth in the longer term. Failure to control chlorine residuals will also damage copper piping within residences, regardless of orthophosphate forming chemical additions. The Flint Water Treatment Plant should implement a corrosion control program immediately, adding orthophosphate forming chemicals, to restore beneficial scale linings inside the piping carrying their water. Politicians, especially Michigan politicians, are not qualified to make technical decisions. They can’t even identify those who are qualified to make technical decisions..
← Yet, Cotter Orchestrates a Bogus Ousting? Lot's of valuable education assembled there, 10x25MM. Well done. Frankly, the last bullet point drives it all home... the best minds are never in government. Testing in Flint public schools immediately to ensure that drinking water is safe, with testing also available at no cost to any other school in Flint. Offering free water testing to Flint residents to assure their drinking water is safe. Providing free water filters to residents. Expanding health exposure testing of individual homes. Accelerating corrosion controls in the Flint drinking water system. Accelerating water system improvements to address replacing lead service lines. Expediting the completion of the Karegnondi Water Authority pipeline. Expanding a Safe Drinking Water Technical Advisory Committee to ensure the best technology, practices and science are being followed by adding an expert from the Environmental Protection Agency’s Office of Research and Development to the group. Naming Dr. Eden Wells, chief medical executive for the Michigan Department of Health and Human Services, as the Flint drinking water public health adviser. Boosting a comprehensive lead education program to make sure residents have detailed information about how to protect themselves and their homes. To ensure safe drinking water, the state of Michigan is providing water filters for free. 1) Governor Snyder has identified $1 million in funding to secure filters for Flint residents. 2) The Michigan Department of Health and Human Services will provide filters for free to Flint DHHS clients* in 25,000 households. 3) Working with United Way, community partners, and corporate sponsors to secure additional filters and distribute them. Please check mi.gov/FlintWater for regular updates regarding water filters for Flint residents. *The eligible programs are: Family Independence Program (FIP), Food Assistance Program (FAP), Child Development and Care (CDC), State Disability Assistance (SDA) or Social Security Insurance (SSI) recipients. Flint — Gov. Rick Snyder’s administration is considering hooking Flint back up to Detroit’s water system temporarily in an effort to get a handle here on troublesome water quality and lead issues. Snyder’s decision on temporarily reconnecting Flint to the Detroit Water and Sewerage Department system, its former source of water, is expected within a week. A Detroit water official said the department is “excited about the possibility” of resupplying water to Flint. No pH control. No chlorine control. No solution. Only money down the drain. He was able to shake down Michigan Taxpayers to bailout Detroit, is anyone really surprised at this? Not at all. This is what is called a 'two-fer.' The gov gets some credit for helping the city of Flint AND as 10x25mm put it, "the pirates at DW&SD." 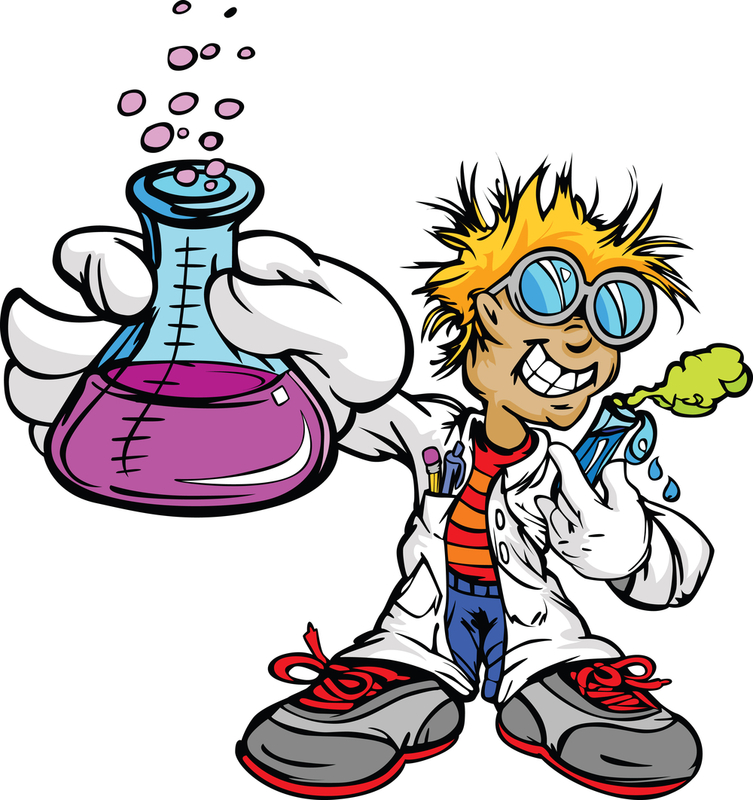 Pretending to solve a problem that is still has a solution a year out with good chemistry. No, the Nerd and Calley, screwed Michigan taxpayer's because this schmuck wanted to protect his billionaire playpen in Detoilet, and now this limey has jumped onto yet another taxpayer funded mealticket. Thank you soooo much 10x25mm. This was well researched. Having "survived" toxic water situations, (specifically. TCE--the same chemical in the true story "A Civil Action", by Jon Harr). I'd like to add some periphery info. There are whole house filters out there which filter incoming water which is so soft, clean and potable, you don't even need a water softener. But these whole house filters would be useless if the filtered water continues to run through the leaded pipes. Thus the filters need to be placed at the end of a house system not at the beginning or the leaded pipes replaced at all points after the filter. There are water filters out there that are stand-alone and the best one I've researched is sold by infowars. It is expensive but can filter any body of water into safe potable water. Well worth the investment and filters last six months or more. Filters for drinking water are a small band aid because taking a bath or shower exposes your body through your pores to the contaminates on a much larger basis--so limit your bathing time to quick showers. There are also shower filters which work somewhat effectively, but are expensive. The "gods" failed to advise of this, and patted themselves on the back for giving us safe drinking water. Do not use the water in cooking because heating water does not remove the contaminates. The delay advising of the contamination in the first place--and it was many of the same agencies listed above involved in the cover up, caused the most harm. There were several clusters of Breast and prostate cancers, MS, as well as unexplained miscarriages. These clusters were all contained within the area of contamination. The CDC was studying MS clusters and we asked for their help but instead they choose to study clusters in Port Huron. There was some sort of unwritten rule for local physicians to not chart suspected MS or any diseases which they may suspect to be the result of our contamination. There were 17 folks with cancers in my neighborhood when the incidence of their type cancers was 3:100K of population. Several cases of non-Hodgkin's lymphoma and Lou Gehrig's in excess of anticipated numbers and were told this was NOT the water. Back in the 90's physicians literally lost their license for diagnosing Lyme's disease-- an easily curable condition if caught early enough--and the "agency" which mandated this non-diagnosis--the Michigan Chamber of Commerce--out of fear of harming Michigan's tourist industry. Physicians took note of this and became fully aware of the unwritten rules for connecting a diagnosis with the TCE contamination. There are excellent treatments for lead poisoning and there is no such thing as just a little poisoning. Short showers, do not use tap water for cooking without a filter, remove leaded pipes, and otherwise take control of your family health--no excuses--do not rely on any helping hand other than the ones at the end of your arms. Only thing we know about the free s**t filters from Water Boy Rick's pronouncements is that they will conform to 'NSF'. Presume this refers to POU (end of faucet) activated charcoal filters conforming to ANSI/NSF 53. These would work in clear water if lead were the only contaminant requiring removal, but the activated charcoal element rapidly loses its ability to adsorb and hold lead when it has to adsorb a high level of particulates as well. The activated charcoal element is overwhelmed by the far more abundant iron corrosion products. These filters may only be able to filter a few gallons of Flint water before they lose their ability to adsorb lead at rated effectiveness, given the images of current Flint water turbidity in the media. The peculiarity of adsorption filters is that they continue flowing water quite nicely, even though they are no longer removing contaminants when they have been overwhelmed by a high burden of particulates. So the user has no idea whether the 'filtered' water is still acceptable. NSF is working on amendments to ANSI/NSF 53 requiring prefiltration according to ANSI/NSF 42, for the conditions which exist in Flint. These amendments would require two filters in line, the first being a 0.2 micron ANSI/NSF 42 particulates filter to protect the downstream ANSI/NSF 53 lead adsorption filter. Don't think Water Boy Rick or his merry band of screw ups realize this. But this whole filter thing is a political pacifier, nothing more. Maybe it's just me, however, the inhabitants of Flint should prolly concern themselves more with other forms of lead absorption. Thanks but only a very small percentage of the 99,000 people who live here are criminals. But over 34,000 paying households were poisoned by the water, not including renters. Yeah, the water is a tad more concerning. "...These amendments would require two filters in line, the first being a 0.2 micron ANSI/NSF 42 particulates filter to protect the downstream ANSI/NSF 53 lead adsorption filter. Don't think Water Boy Rick or his merry band of screw ups realize this. But this whole filter thing is a political pacifier, nothing more...."
Did the state ever (finally) begin providing the proper filters for residents (which aren't cheap by any means in this configuration)...and if not..what precedent does this set (legally) for our state in terms of improperly exposing residents to a state-sponsored emergency solution that obviously had no chance of working, failed and further exacerbated the previous failure? It astounds me that we have not one employee in our state government with enough common sense or any inkling of how filtration actually works who didn't catch this. The vendor supplying this 'solution' should be asked if they were forced to provide the much cheaper 'fix' or if it was indeed their recommendation alone. No, they have only issued ANSI/NSF 53 end of faucet filters. And lead levels are still rising, both at the tap and in people. Many lead compounds can be absorbed through the skin, so washing, showering and bathing at other faucets becomes a problem when only your kitchen tap is filtered. Even clothes washed in unfiltered water pick up lead compounds and transfer them to wearers. Those adsorption filters are probably all plugged by now anyway, especially those filters on taps where they are really needed. The vultures are now circling Michigan's carcass. This will be a billion dollar problem before it is all over. Technical aptitude does not seem to be a requirement for government service in Michigan. Filtration is not rocket science. You're confused on pH and scaling, along with the effect on the Flint water supply. Flint doesn't have a pH problem and, in fact, higher pH along with its associated alkalinity should result in more scaling, not less. Lowering pH would be something done to reduce scaling, not promote it. The problem with Flint water occurred because of inadequate research and planning for the treatment of substantially different water than as supplied by Detroit. Flint river water enters already high in chlorides, which not only dissolve scale but leach lead and copper from piping, something which is further exasperated by the addition of chlorine or chloramine for sanitation purposes. While pH affects all of these chemical processes, it is not the cause of the problem. And a more acidic pH increases leaching of copper and lead metals. The GM plant's experience, with rusting crankshafts produced using Flint water, is symptomatic of the presence of strong oxidizers within the water supplied. Regardless of what Flint now does, with whatever water it chooses to use, it will be at least a year, maybe two, before a pipe leaching equilibrium is reached or an effective scale buildup achieved. In short, had Flint decided to do a comprehensive flushing of their piping system, removing everything encrusted within it, while exposing lead and leaded joints for renewed leaching, they couldn't have done so amy more effectively than they did by pumping the treated water they did. The author is correct on the amateur level chemistry involved, for this seems nothing so much as someone with inadequate knowledge saying, since we're switching from Detroit's lake water to river water, we better increase the amount of chlorine disinfectant we're using, right? Whether they even considered the chlorides in the river water remains unknown. Flint River water is actually not higher in chlorides than lake water. Flint ran into particulate problems when they resourced to the Flint River and their usage of ferric chloride coagulant to remove these particulates exploded. This markedly increased free chlorine ions and led them into their TTHM residual noncompliance. The extra free chlorine generated as a consequence of this additional coagulation compromised protective scales in all their distribution piping, including lead piping. time or because of wide fluctuations in pH levels in the distribution system. This is why you have to drive down pH to reestablish protective Lead (II) oxide scales.